Sometimes you just need to get dinner on the table and FAST! We have days when we don’t get home from our homeschool group or archery club until very close to dinnertime. 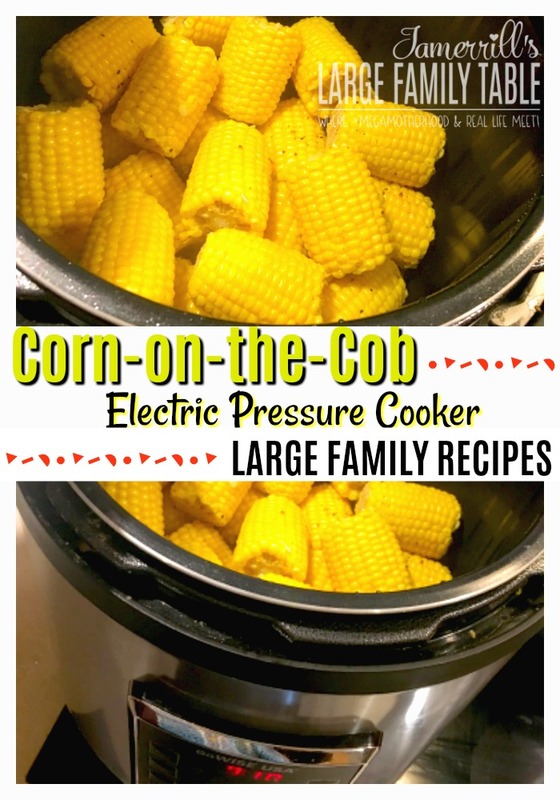 It’s days like that when I really appreciate my 14-quart Go Wise electric pressure cooker (you can read all about my new large family size pressure cooker here). 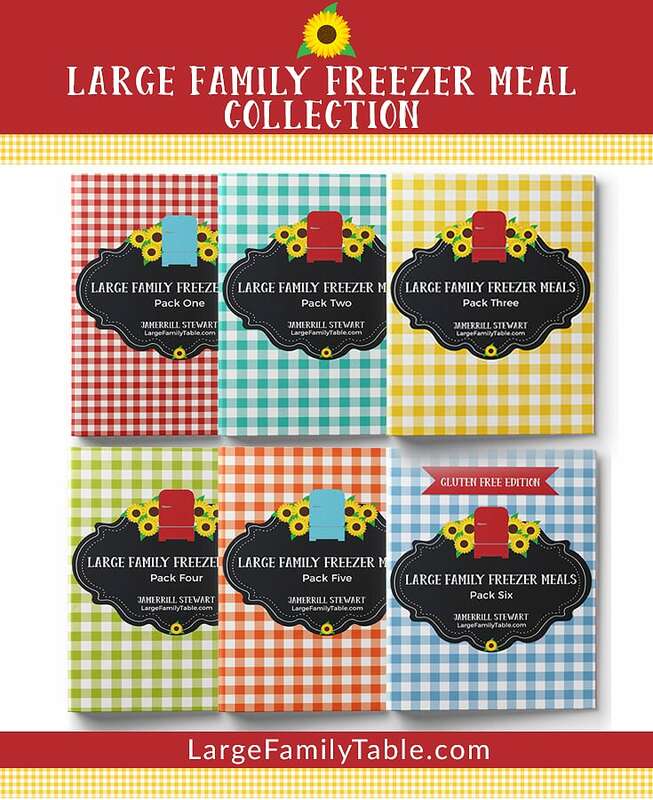 If you have a large family like me, you know that preparing enough sides to feed your crew can be a challenge, especially if you’re running short on time. 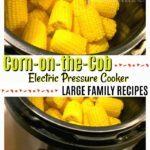 Today, I am showing you how to go from frozen corn-on-the-cob to hot and ready to eat in just a few minutes using my electric pressure cooker. Hot, buttery corn-on-the-cob. What could be better? Place steam rack in pressure cooker. Add butter and salt and pepper. Set on Manual for 3 minutes. One thing to note, different brands of pressure cookers have different types of lids and some are more intuitive than others. So just know your pot and pay attention because if your lid isn’t on correctly you are not cooking safely. If you’d like to see this corn-on-the-cob in quick action you can watch my new How To Cook White Chicken Chili | Instant Pot Recipe | Large Family Meals vlog that also features this easy pressure cooker corn-on-the-cob!